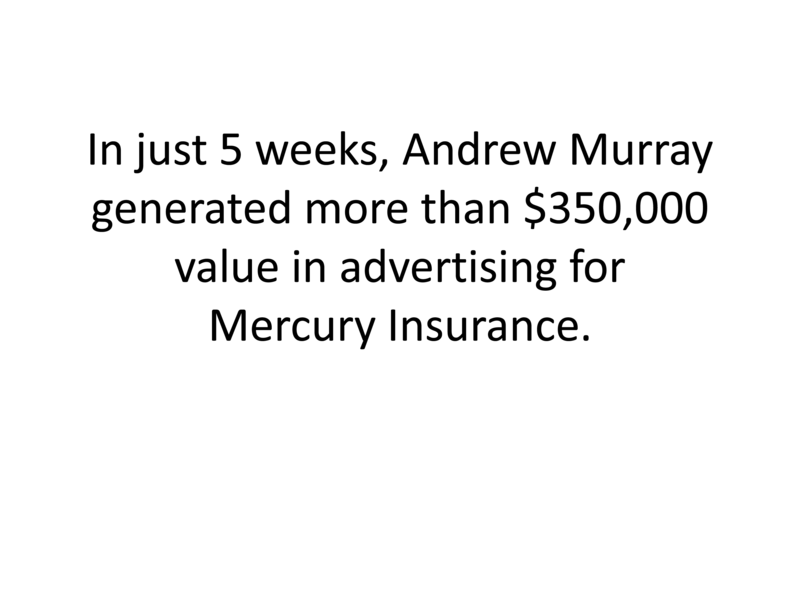 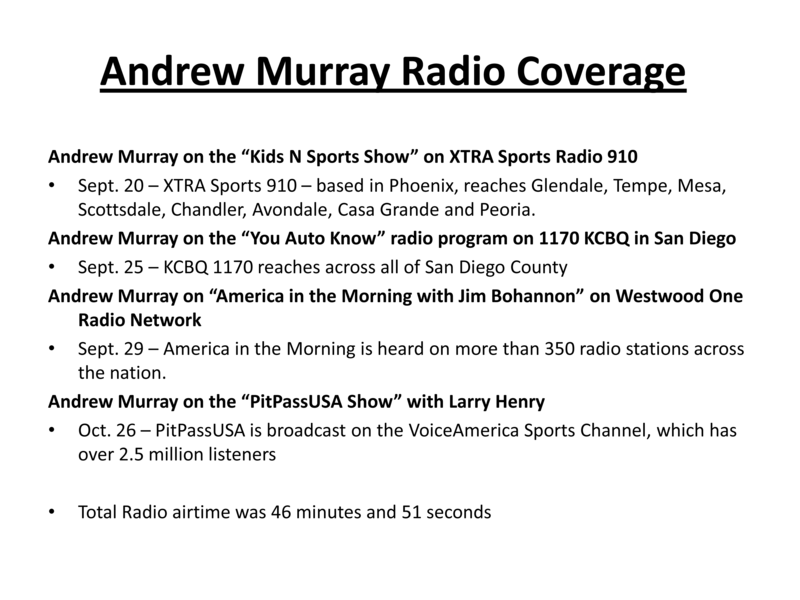 Working with PCGCampbell from September 2011 until the end of the season to create a media blitz for Mercury Insurance over a 5 week period, Andrew achieved an incredible 46 minutes of prime time television, and over 46 minutes of national radio coverage. 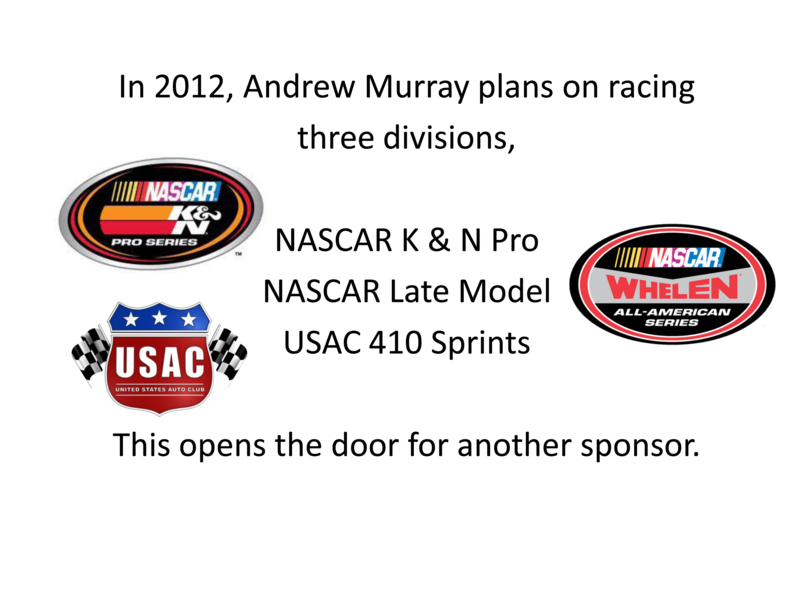 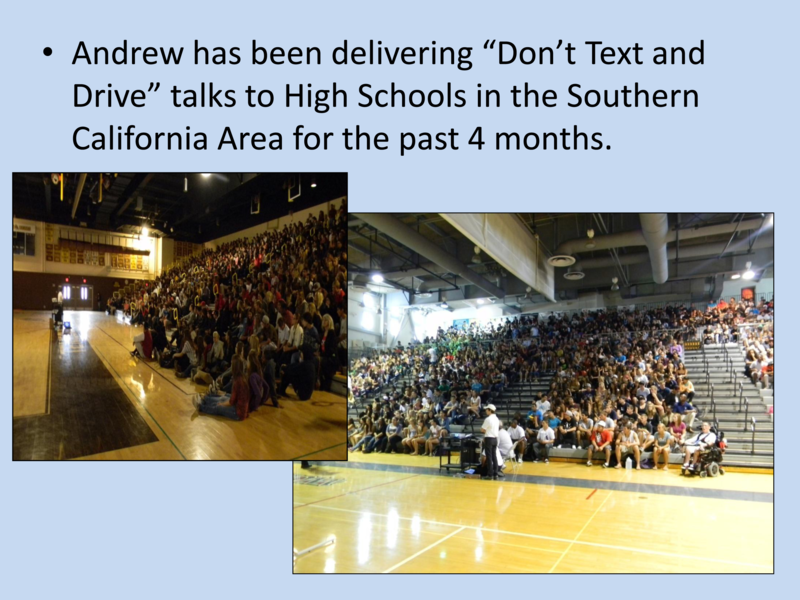 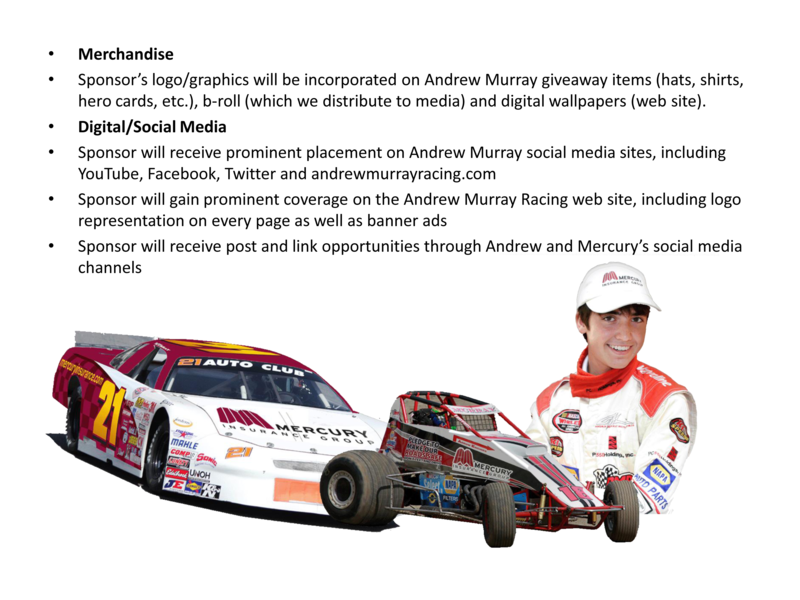 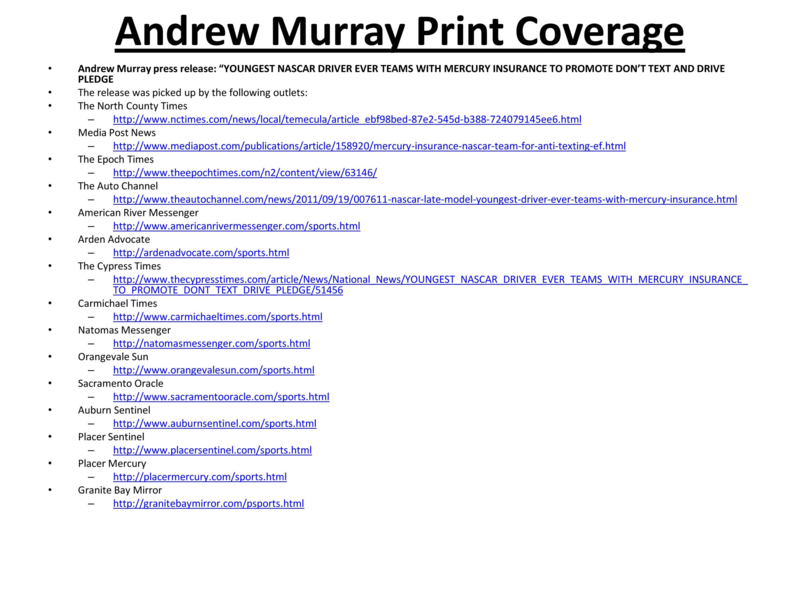 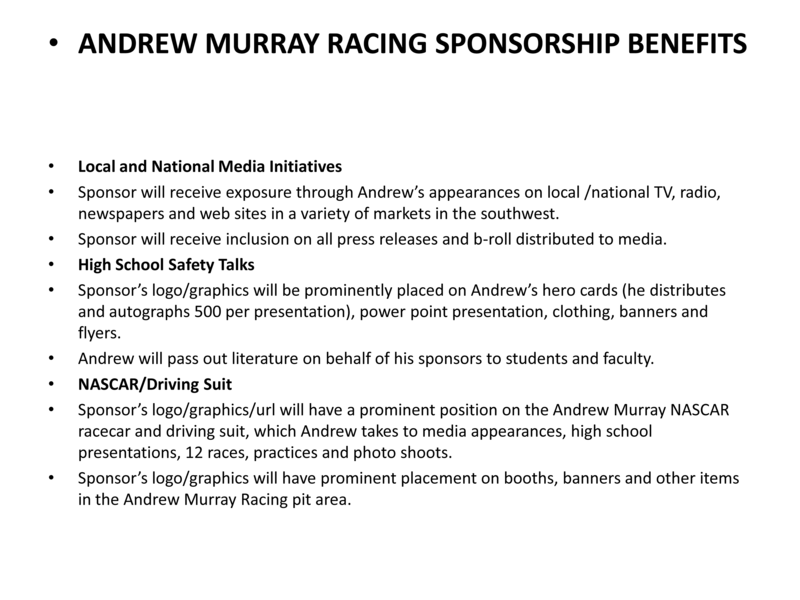 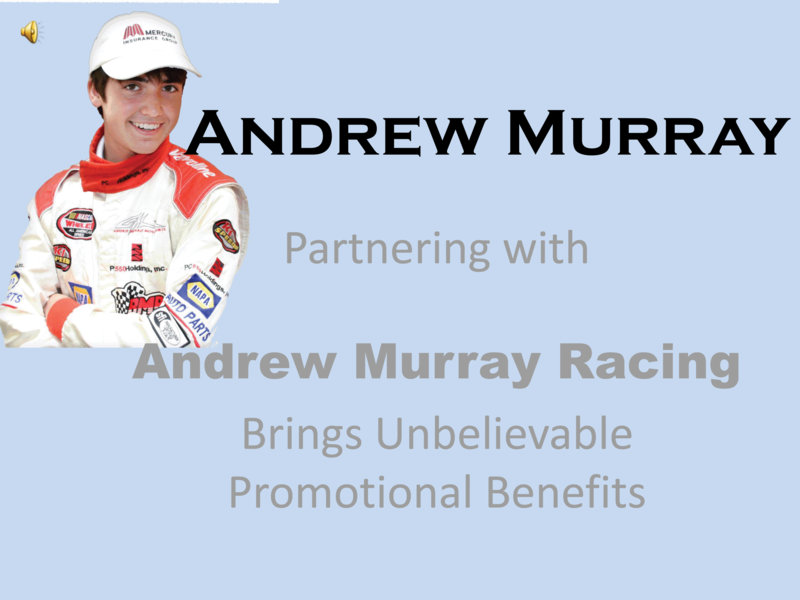 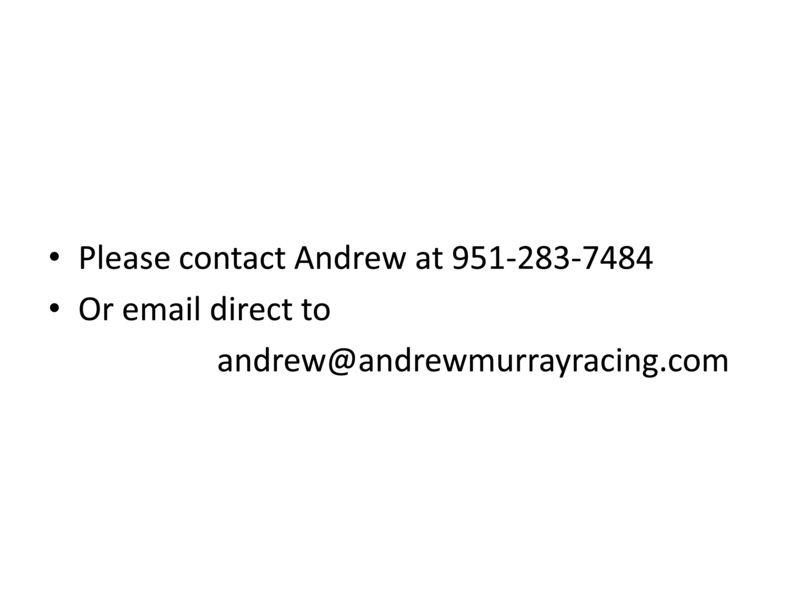 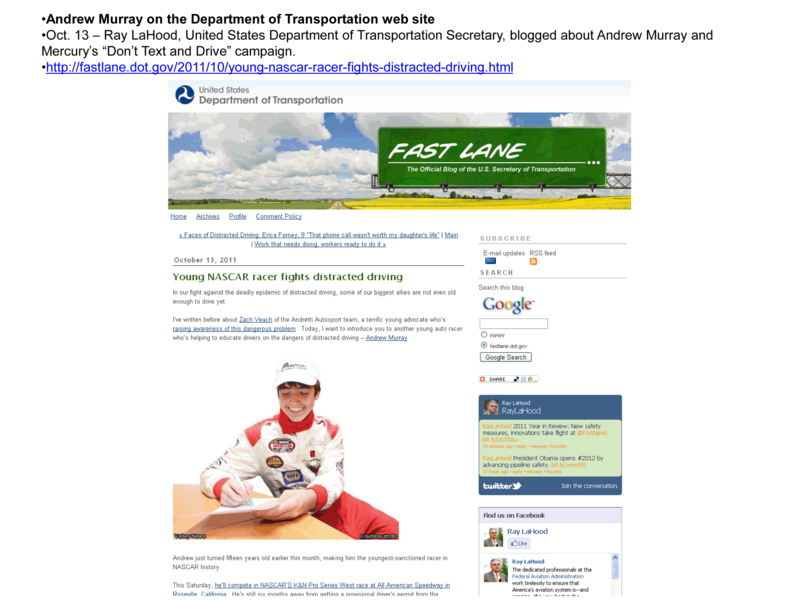 Combined with his abilities on the track, running NASCAR K&N, NASCAR Late Models and USAC 360 Sprint Cars, and off the track, delivering 'Don't Text and Drive' talks to high schools, Andrew Murray is a complete package for any corporate company. 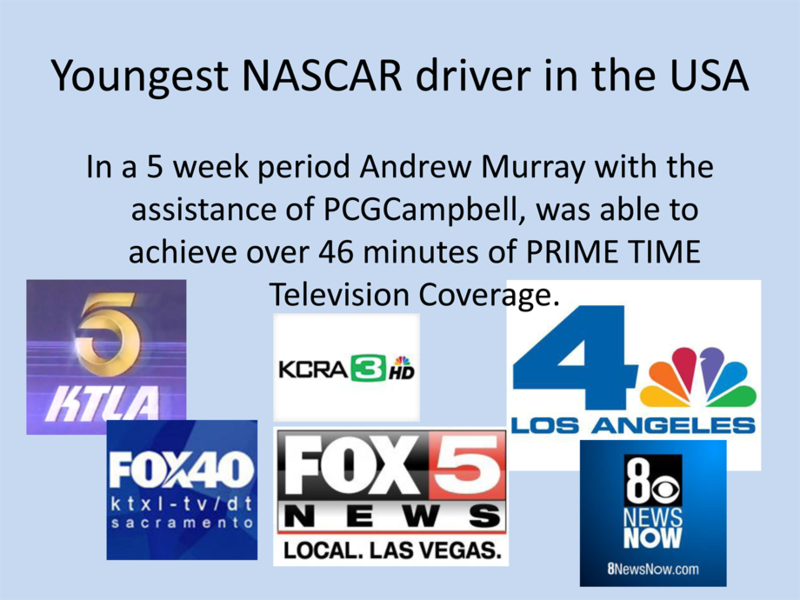 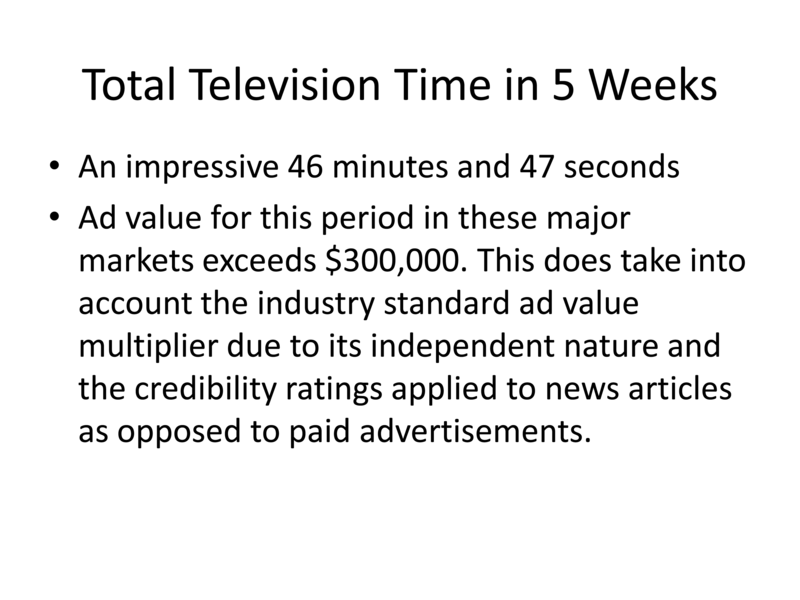 To see each and every TV Interview, to follow this unbelieveable 5 week promotion blitz, including links to the print coverage, click onto each image in sequence on the left side of this page.